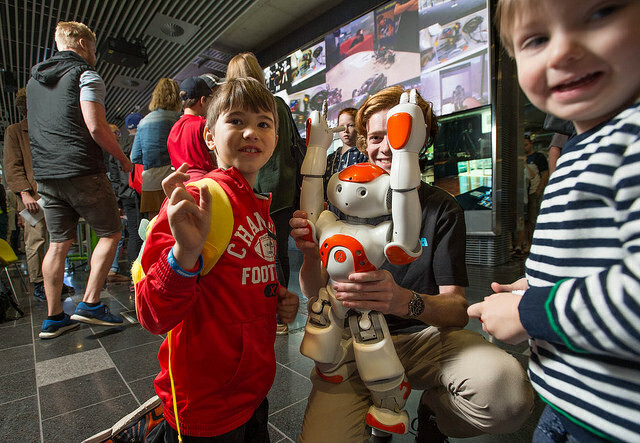 QUT - Bots + Brisbane = brilliant day out! 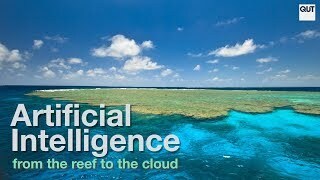 Bots + Brisbane = brilliant day out! Does Brisbane love robots? A crowd of around 22,000 people can't be wrong! Bots of all shapes, sizes and abilities came, saw and conquered QUT's Robotronica 2017 on the weekend, much to the delight of families, tech heads, and the plain curious. Held in perfect weather at QUT's Gardens Point campus on Sunday, Robotroncia delivered on its promise of a bigger and better event after successful festivals in 2013 and 2015. Visitors swarmed across all attractions, with some of most popular proving to be public talks on robot intimacy (Professor Ron Arkin), mixed reality (Dr Sara Jane Pell) and robo-cops, and bots battling it out in the RoboWars 2017 Nationals. Code-a-Bot at The Cube was packed all day, as were other displays and activities throughout the Science and Engineering Centre, including Hospitals of the Future and hands-on Lego robotics for kids. There were more artistic displays like Robot Panda and Electric Puppet, and some very practical robots that will help up in the near future, like Cartman (the picker and packer Cartesian robot that won the Amazon Robotics Challenge in Japan) and Harvey (the robotic fruit harvester). Check out the photo gallery below with some of the highlights. The robot love was also shared widely on social media, with the event trending on Twitter on Sunday. 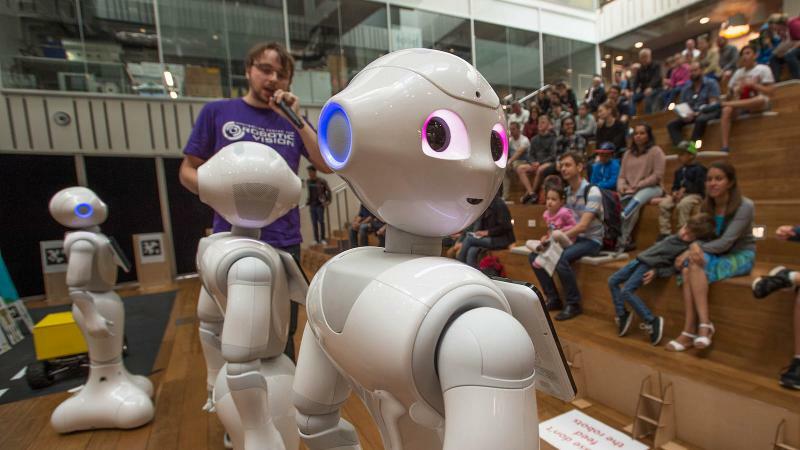 Robotronica highlights were also live streamed on Facebook (@QUTBrisbane) throughout the day. Live from #Robotronica, Dr Sarah Jane Pell and Jaymis Loveday's #mixtedreality keynote. #artistastronaut #visitorvision #cinemaswarm. Live from #Robotronica, it's the finals of Robowars Australia's National championship. This is our last #Robotronica Facebook Live today - no intros and outros, just brute force.